Los Angeles Review of Books, 9781940660387, 144pp. Los Angeles Review of Books is an independent, nonprofit, multimedia literary and cultural arts magazine that combines the great American tradition of the serious book review with the evolving technologies of online publishing. 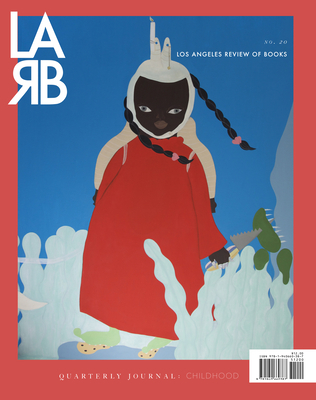 LARB has quickly established itself as a thriving institution for writers and readers. The LARB Quarterly Journal, a signature print edition, reflects the best that this institution brings to a national and international readership. The magazine cultivates a stable of regular and ongoing contributors, both eminent and emerging, to cover all topics and genres, from politics to fiction, from television to poetry, and much more. LARB specializes in a looser and more eclectic approach than other journals: grounded in literature but open to all varieties of cultural experience; headquartered in Los Angeles, but home to writers and artists from all over the world, the LARB Quarterly Journal brings the pioneering spirit of the online magazine into print and proves that long-form literary and cultural arts review is alive and well.